Caleb Roth is a three year old boy. He lived a normal life for his first 2 ½ years, but on July 31, 2015, his grandmother noticed a bump on his neck. It was an unusual bump, but she didn’t think it was anything more than swollen glands. 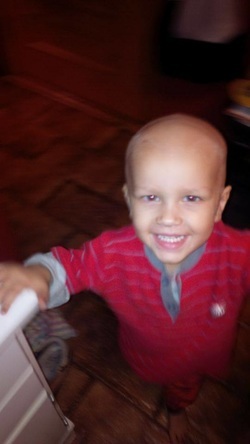 Caleb’s fever spiked that night, and he was taken to the hospital. They did extensive bloodwork and an ultrasound. 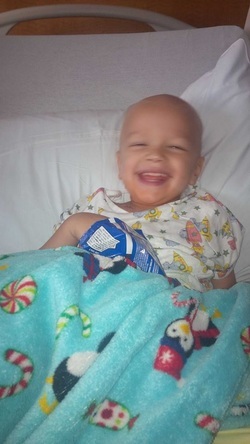 After the results were in, the doctors were forced to tell his parents Derek and Stacy the unthinkable: Caleb was suffering from Stage 4 Neuroblastoma—a rare cancer of the adrenal gland that typically affects infants. 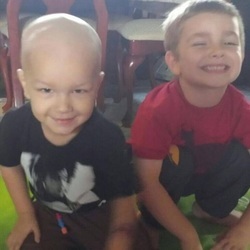 Caleb has since undergone many rounds of exruciating chemotherapy in the hopes of eliminating the cancer so that he can receive stem cell transplants. At the time of this writing he is awaiting results of his most recent scans, hoping for good news.